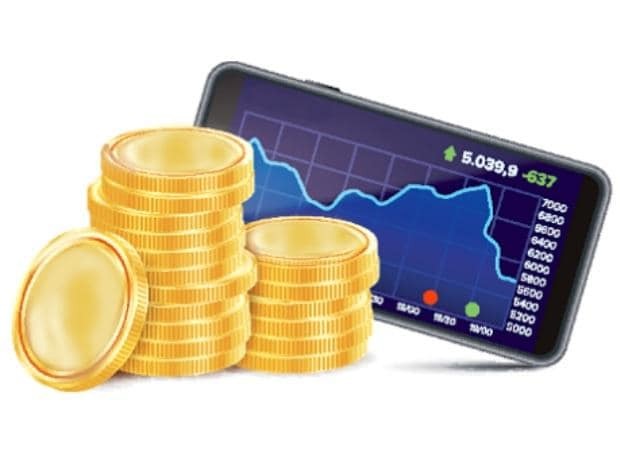 The digital gold market has grown significantly with over 80 million customers opening digital gold accounts by March-end since 2012-13 when the first such account was launched — more than double the demat accounts in the country. Two depositories, National Securities Depository and Central Depository Services, together had 35 million demat accounts at the end of 2018 and are estimated to cross 40 million by the end of 2019. Demat of shares was first launched in 1997. Digital gold is gold purchased online from various platforms including Paytm or Google Pay and stored in your online account. In the last two years, Paytm, a wallet and SafeGold (a brand with Digital Gold, a joint venture between private equity firm Invent Capital and the World Gold Council) have been offering gold in a digital form. Augmont, an integrated company that handles pure gold from refining to retailing, started offering digital gold or ‘Digi Gold’ in 2012. Apart from these, Motilal Oswal, PhonePe, and Google Pay are also offering digital gold account services. “A recent entrant, Google Pay’s arrival is seen as a big booster with its wide reach,” said an industry official. The industry estimates that eight to nine tonnes of gold are sold annually on these platforms and around three tonnes are delivered to people’s homes. The online sale of gold jewellery and coins is also picking up. This trend, combined with the increase in digital gold’s customer base, has exacerbated the worries of physical jewellers, especially mom-and-pop stores. These online players offer physical deliveries to the doorstep and free storage. In addition, they provide account holders with option of converting the digital gold in their account into jewellery. Augmont has its own gold refinery, which supplies gold for delivery. Paytm, Phonepe, and Google Pay etc., buy and store gold sold on their platforms with MMTC-PAMP India. SafeGold and Augmont have tie-ups with IDBI Trusteeship Services. Brink’s is the vault and logistic company. “We are offering the option to convert gold in a digital account for buying jewellery from CaratLane and Candere, the online subsidiary of Kalyan jewellers,” said Gaurav Mathur, MD, Digital Gold India, a company that floated SafeGold. He said they were expanding the network of jewellers to give a wider choice to account holders. MMTC-PAMP delivers and keeps aside gold sold by wallets like Paytm, Google Pay, or PhonePe. A company official said, “We expect sharper growth in digital accounts opened as now Google Pay has also started offering it”. Another interesting player is Augmont that delivers gold coins. “We plan to add a few thousand jewellers to our network with whom Augmont customers will be able to exchange Augmont gold. We are also tying up with India’s leading e-commerce and wallet platforms from where customers can buy Augmont gold,” said Sachin Kothari, director, Augmont. Augmont has also introduced new-age products such as ‘gold on EMI’ with leading assisted e-commerce players under which customers can buy gold on EMIs. Augmont’s EMI products are available in 500,000 assisted e-commerce centres, including Vakrangee, Weizmann, Ebix Cash, and Quicksun Tech where villagers and daily income earners can buy gold, silver coins or jewellery up to 10 grams on EMIs. The company delivers gold coins of denominations as low as 100 milligram or 0.1 gram.